As 2018 draws to a close, Malta will celebrate the culmination of a year of festivities honoring Valletta, a 2018 European Capital of Culture, with a final Valletta 2018 closing spectacle on December 15, 2018. For Valletta, 2018 set the stage for a more vibrant and welcoming capital city, and this special after party promises to keep spirits high! The Valletta 2018 European Capital of Culture festivities comprised over 400 events and encompassed a yearlong celebration of the culture and history of the island nation of Malta. The success of any European Capital of Culture is rooted in the passion, imagination, support, dedication, enthusiasm and generosity of its communities. As such, Valletta 2018’s Closing Spectacle is all about celebrating community, life and culture while forging new friendships. Only together can one truly celebrate Valletta 2018’s year-long program of incredible events, initiatives and activities with the same energy and love that’s gone into it. The festive closing event will take place in the heart of Valletta, a UNESCO World Heritage Site, where visitors will experience an amazing celebration of Malta’s tenure as a European Capital of Culture 2018. Event-goers can expect to enjoy a spectacular line-up of live shows, music, tours, as well as a few unexpected surprises. The Valletta 2018 Closing Spectacle will be a lively closing event, paying homage to the creative diversity that exists on the Maltese archipelago, in Europe and beyond. Visitors will join artists, curators, local residents, and the entire Valletta 2018 team in what will prove to be an exciting and memorable “after-party”! 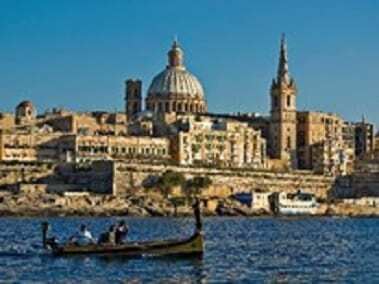 The Valletta 2018 Foundation is responsible for the planning of events for the European Capital of Culture program in Malta. Throughout 2018, they have partnered with various local and international communities to develop the programs for Valletta 2018.